One of the beauties of long-lived music genres is if a current one becomes boring and the future looks, well, too futuristic, we can always go backwards, investigating earlier forms we may have not paid attention to earlier. 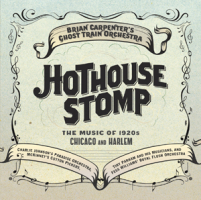 And herein lies the value of Brian Carpenter's Hothouse Stomp: The Music of 1920 Chicago and Harlem. 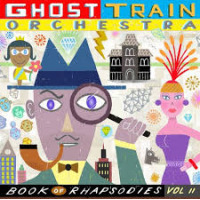 The music Carpenter concentrates on is big band music other than Duke Ellington and Count Basie, during the Jazz Age of F. Scott Fitzgerald and the Lost Generation. More specifically, the African-American side of the Lost Generation. Carpenter concentrates on four seminal bands, that were performing in the 1920s: Charlie Johnson's Paradise Orchestra, McKinney's Cotton Pickers, Tiny Parham and his Musicians and Fess Williams' Royal Flush Orchestraall bands addressed in detail in The Penguin Guide to Jazz: the History of Jazz in 1001 Albums (Penguin, 2010)). Carpenter sharpens his focus, within this decade, on the arrangers and composers for these bands, specifically Don Redman and John Nesbitt, who arranged for McKinney's Cotton Pickers, Charlie Johnson, Charles Mingus' uncle Stanley "Fess" Williams, all in New York City and Hartzell "Tiny" Parham in Chicago. 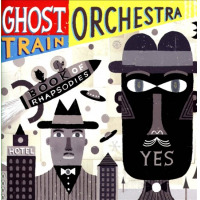 This music serves as a bridge between the wide-open New Orleans-Chicago, small Ensemble, early jazz style and the more formally arranged larger band ensembles that would fully mature in the 1930s. The music played by these four bands bears many of the characteristics on the New Orleans small ensemble jazz: prominent clarinet, tuba, and banjo. The bands are larger and the compositions more tightly arranged, though this, in no way, curtailed the abandon wrought in these songs. This is adventurous music, something much more dangerous and mercurial than the relatively tame sounds of Glenn Miller, the Dorsey Brothers, and Benny Goodman to come. The performances range from Charlie Johnson's stately "Blues Have Surely Got Me," replete with a bowed hand saw, to the barely contained blues, "Hot Bones and Rice" and "Dixie Stomp." Taken at a slow simmer, these pieces heat their surroundings with a radioactive warmth, infectious, and viral in the modern-media sense of the word. Rather than old-timey music this recording recounts and reproduces an era when things were in rapid change, seeking a new equilibrium, all in an historically-informed, period performance. 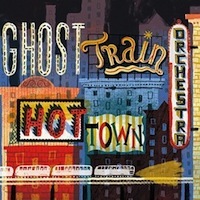 Track Listing: Ghost Train; Mojo Strut; Stop Kidding; Gee Baby, Ain't I Good To You? ; Voodoo; Blues Sure Have Got Me; Hot Bones and Rice; Dixie Stomp; Lucky 3-6-9; The Boy in the Boat; Slide, Mr. Jelly Slide; Hot Tempered Blues. Personnel: Brian Carpenter: trumpet, harmonica (1), vocals (5); Dennis Lichtman: clarinet; Andy Laster: alto saxophone; Matt Bauder: tenor saxophone (3-9, 12), alto saxophone (11), clarinet (1, 2, 10); Curtis Hasselbring: trombone; Mazz Swift: violin, vocals (4, 6); Jordan Voelker: viola, saw (5, 6, 10); Brandon Seabrook: banjo; Ron Caswell: tuba; Rob Garcia: drums.